In the spirit of Thanksgiving, let us not forget to share our thanks to all of our dear clients, as well as the programmers who support the videos they put out! It’s a short week for us here in the office but don’t let that fool you: we’ve got a whopping nine new videos to share with you. 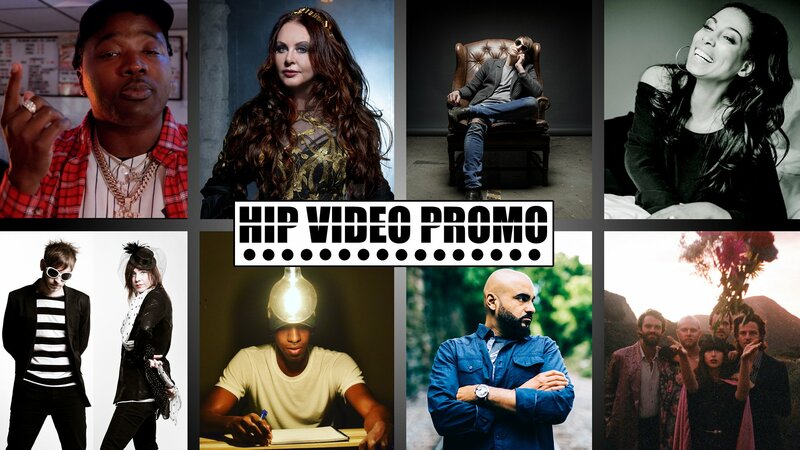 The latest HIP Picks – Weekly Client Roundup is below; read on to see what we’ve got in store! Troy Ave has been called many things – courageous, controversial, the present and future of NYC hip-hop, among others – but no one can dispute that he’s his own man. His highly anticipated third album More Money More Problems sees him standing alone, with no features, no BS, and no music business hand-holding. His new clip for “Ice Cream” is a shout-out to the classic Raekwon clip, and sees the rapper in a soft-serve parlor surrounded by beautiful women. From light opera to musical theater to throwback disco and contemporary pop, Sarah Brightman’s gorgeous signing voice can do it all. She’s starred in Cats and Phantom of the Opera, and her 1996 duet with Andrea Bocelli, “Time to Say Goodbye” went to the top of the charts. Now, she’s here with her new album Hymn, an ambitious collection of classical and modern songs. “Sogni”, her latest single, splices two separate Bizet pieces into a harmonious whole. Here, she’s joined by French light operatic tenor Vincent Niclo, who also makes his presence felt in the “Sogni” video. If you’ve had any exposure to independent music in the Twin Cities over the past ten years, you know the Melismatics, as they’ve long been one of the most exciting groups in a storied underground scene. Now, principal Melismatics Ryan and Pony have presented themselves as cartoons in the clip for “Fast As I Can”. The song shows them doing what they do best, with lyrics that are catchy and witty, paired with an inventive melody, and in the video, their avatars are adorable – but they rock, too. Amo Amo’s music radiates an inner light, and their glow even caught the ears of My Morning Jacket’s Jim James, who produced their debut album. “Closer To You” is one of the first singles from the forthcoming album, and this dreamy, psychedelic indie pop track has already racked up nearly half a million streams on Spotify. Love Femme, who directed the clip for “Closer To You”, is prominently featured here, but the other members of the band make their presence felt. It’s a playful, summery clip, but there’s genuine spiritual overtones, too. ash.ØK reveals himself on his tracks, but he’s not alone: the Philadelphia-based producer has worked with a variety of talented artists from around the globe. On his latest, “We’ll Waste Away”, he works with famed Utah singer-songwriter Robyn Cage and world-famous Indian percussionist Jomy George to cross both genre and cultural borders. Filmed in rural Kerala in India, the video is captivating, showing important messages of the #MeToo movement, empowerment, and freedom from cultural norms. Glorybots call their sound “dark alien pop”, and it suits them as well as a flying saucer fits a little green alien. It’s strange, intriguing, and full of beauty, menace, and mystery – yet as far out there as it is, tracks like “Dream About Nothing” and “Afterlife” are also approachable and catchy. “Dream About Nothing” juxtaposes frightening, hallucinatory images with footage of Glorybots in performance, and “Afterlife” is a clever, animated play on the concept of alien abduction gone wrong. It wasn’t until after he graduated high school that Proper Einstein discovered hidden talents in dance and beat production, but now, he’s ready to sit us down and teach us all a lesson through the universal language of music. Influenced by Kanye West, Beck, Michael Jackson, Prince, Sound Garden, and Nirvana, he lives by the statement, “study the greats and become greater.” Now, “The Musical Genius” has released “Light Bulbs”, the lead single off his upcoming EP. Pushing and pulling us in the right direction, the clip sees him telling the tale of wanderers searching for a purpose meanwhile realizing his own power as a self-proclaimed outsider. Do you believe in the Vodou spirits? Let Malou Beauvoir’s ecstatic video for “Rasenbleman” do its work on you, and by the time you’re done watching, you just might. The Haitian-American artist may just be in touch with some supernatural forces- though she and guest singer Paul Beaubrun are such sensational musical talents that she might not need to be. “Rasenbleman” was originally penned by Toto Bissainthe, a groundbreaking figure in the history of Caribbean music. Beauvoir’s version is welcoming and joyous, but contains a powerful message; director Hugue-Robert Marsan shows us Haiti at its most beautiful as well as showing the souls of the Black Maroons who fought against the slave masters in the Haitian Revolution.